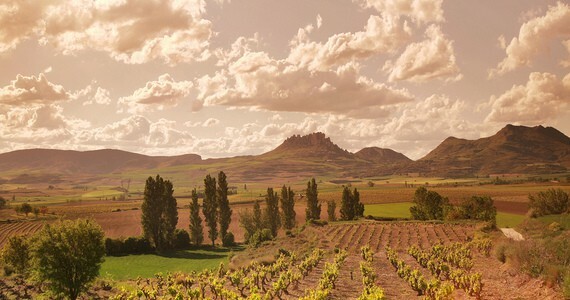 Rioja is well-known for its hilltop medieval towns, impressive mountains and huge monasteries. The capital, Logroño was an old Roman settlement and was the main seat of the Basque witch trials, part of the Spanish Inquisition in 1609. It is filled with beautiful plazas and parks, such as Carmen Park, which possesses a large quantity of flora and fauna and the Town Square, which has hosted numerous public events and concerts over the years. The town of Haro is extremely important in terms of the region’s viniculture, as the coveted Haro Wine festival is held here each year. It is home to many of La Rioja’s great bodegas (wineries) and is known in particular for its fine red wines. We are planning a family reunion in 2017/18 and plan to use you guys again. Really impressed with everything that was organised and the people we met. Well done. Keep doing what you are doing.